⠀⠀⠀⠀⠀⠀⠀⠀⠀⠀⠀⠀•⠀Playing games for fun . 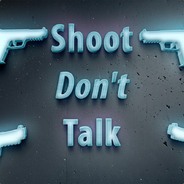 ⠀⠀⠀⠀⠀⠀⠀⠀⠀⠀⠀⠀•⠀Games i play on steam - CS:GO, Rust ,Rainbow . I will ONLY accept friend requests from people i know .